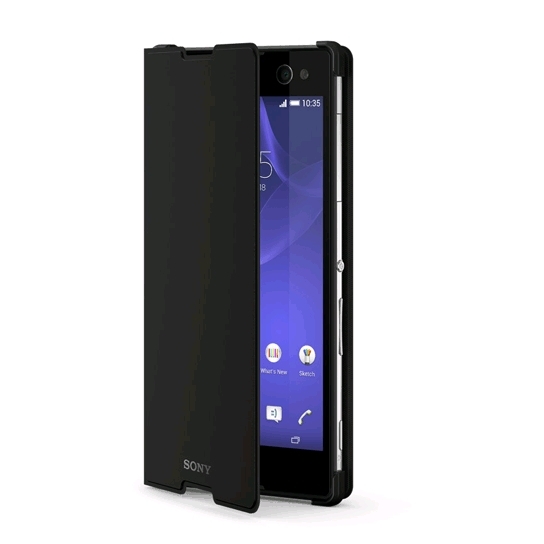 Keep your Xperia C3 safe when you�re on the move. This smart booklet-style cover wakes your device when you flip open the cover and puts it into sleep mode when you close it. Use the Style Cover Stand SCR15 as a convenient desk stand with adjustable viewing angle, at home or at your favourite caf�. Browse, communicate and enjoy Xperia C3 entertainment in comfort.